Objektiv omogoča lepo zamegljenost ozadja, zaslonka in ostrilni obročki pa so opremljeni s prestavnimi zarezami, ki omogočajo delo s follow focusom. 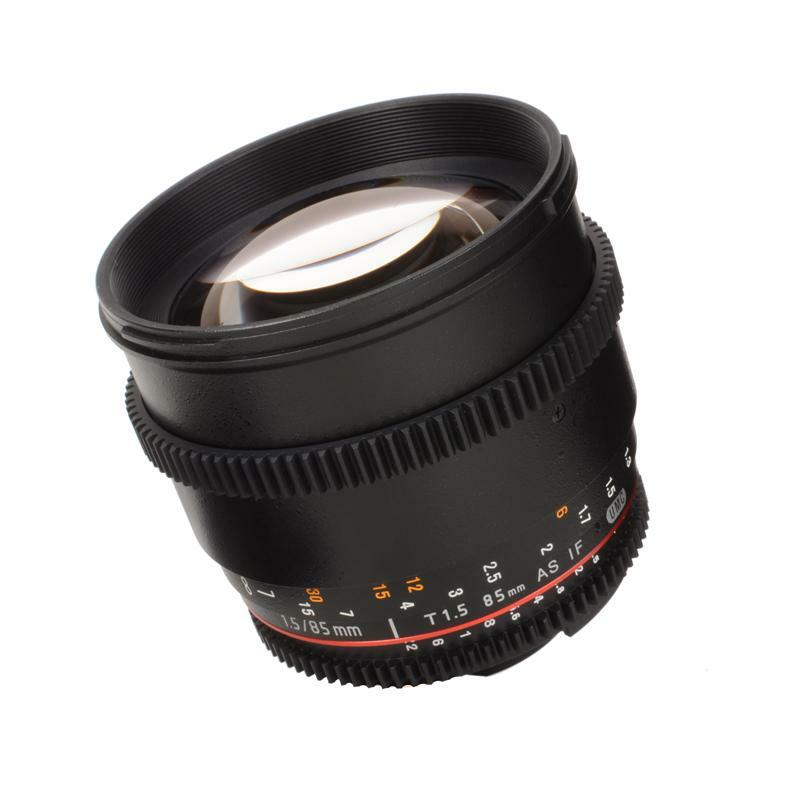 Optical construction of Samyang 85mm T1.5 Canon VDSLR is similar to the non-video version, comprises of 9 lenses (one of them is aspherical) in 7 optical groups and provides internal focusing function. Iris diaphragm allows you to produce aesthetically pleasing bokeh. All lenses are covered with multilayered, anti-reflective coatings, which add to the very high level of light transmission. As in the case of the other VDSLR lenses, the aperture and focus rings are featured with gears, allowing to control work of the lens with follow focus system. The aperture of Samyang 85mm T1.5 VDSLR is build of 8 diaphragm blades which allows to get very impressive depth of field. All lenses are covered with anti-reflecting coat, and the light transmission is on very high level. Focus of Samyang 85mm T1.5 Canon VDSLR has to be set manually. Minimum focusing distance is one meter (3.3ft). Bayonet mount lens hood, soft pouch and lens caps included !